Fun fact: A skull of a cave bear was removed from the High Level Chamber in 1948! Today, a leg and other bones still remain in the cave wall. The oldest remains found in Kents Cavern belong to the Ancestral Cave Bear! The bears, were vegetarians and were mostly using the cave to hibernate for the winter, generally entering the cave during Autumn. It was not uncommon for the bears to die during hibernation either from lack of reserves and starvation or exposure to excessive water leading to hypothermia. Over the centuries, this resulted in hundreds of bones, teeth and even claw marks accumulating in the cave system. Visitors today may even get to see a cave bear skull embedded in the roof of the cave or a complete skull around 400,000 years old, on display in our waiting room. Eventually these bears evolved into Ursus spelaeus…. 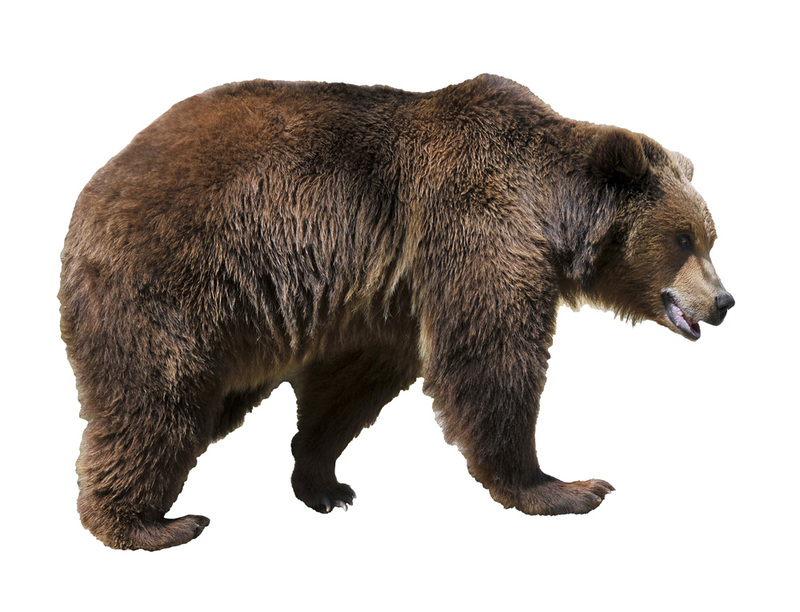 Fun fact: Cave bears, when stood up on their hind legs could be a staggering 3m or 9ft tall! Relatively longer and bigger than Ursus deningeri, Ursus spelaeus, were around twice the body weight of brown bears found in Europe today. 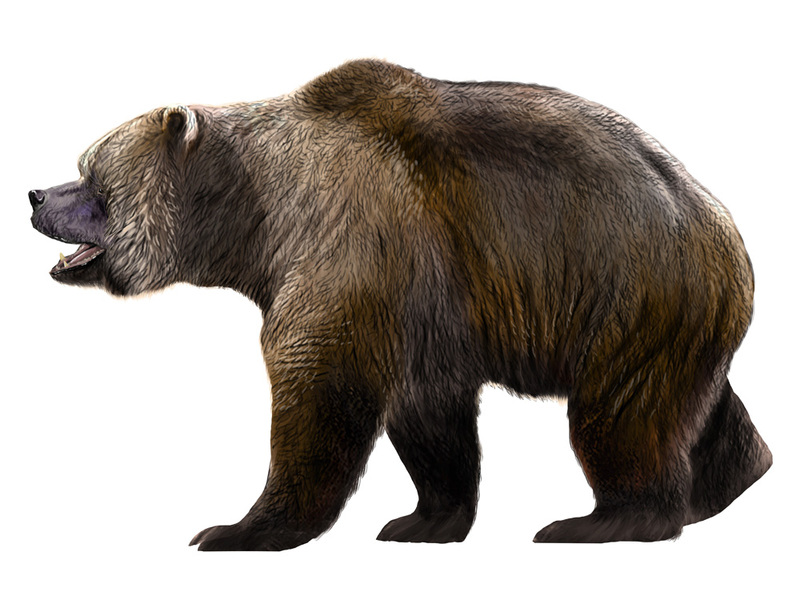 The rarity of this cave bear in Britain in the last Ice Age shows that although shows that the species lost its foothold with the emergence of the brown bear. Fun fact: Ursus spelaeus often found themselves prey of cave lions. 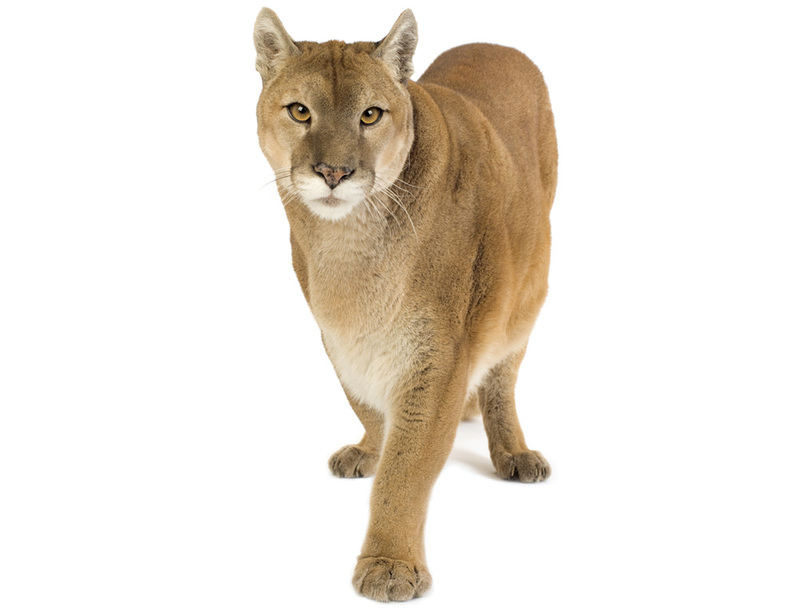 This lion was larger than its relative in Africa today, but otherwise fairly similar. 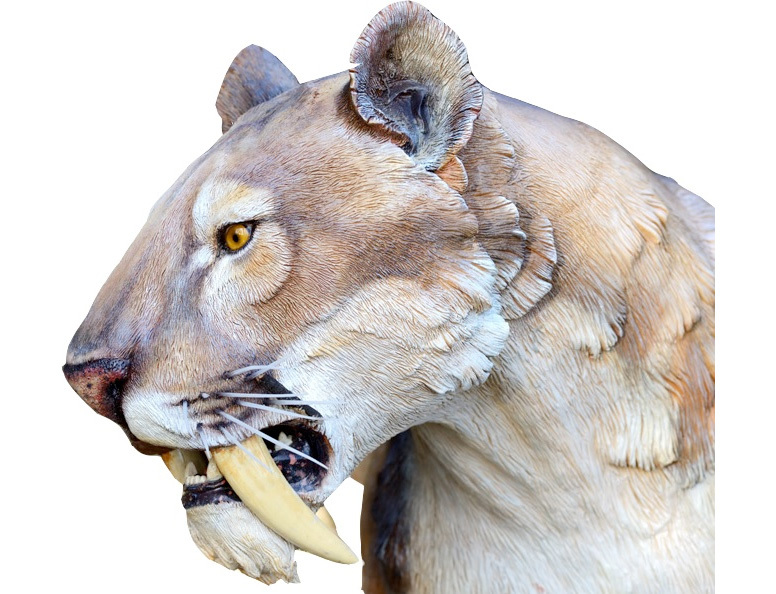 Cave lion bones found in Kents Cavern were discovered in the main cave earth sediments and are from the last Ice Age around 50,000 – 20,000 years ago. It's believed that they died out during the end of the last Ice Age this may have been due to climatic changes or human hunters, it's still a mystery. Fun fact: In 1826 a Roman catholic priest caused a stir when he found 5 mysterious serrated teeth in Kents Cavern. 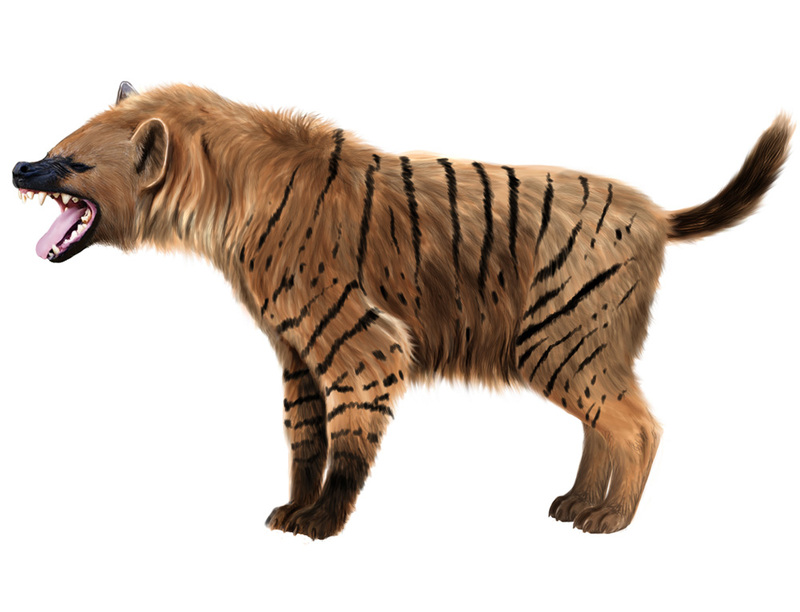 The scimitar-toothed cat was a relatively smaller than the sabre-toothed cat, but still an incredibly dangerous predator. The scimitar cat had elongated fangs, but shorter legs and a sloping back appearance much like a hyena today! The teeth, are unlike other cave earth remains. It's now believed that the teeth were transported from another location and into the cave earth sediments, through human interference. Humans may have even be using the teeth as trade items or even jewellery. Fun fact: Most woolly mammoths died out around 10,000 years ago. But, around 500 of them survived on Wrangel Island until 4,000 years ago, just after the building of the pyramids of Giza! Related to elephants, woolly mammoths had huge curved tusks and hairy coats, perfect for the last Ice Age! 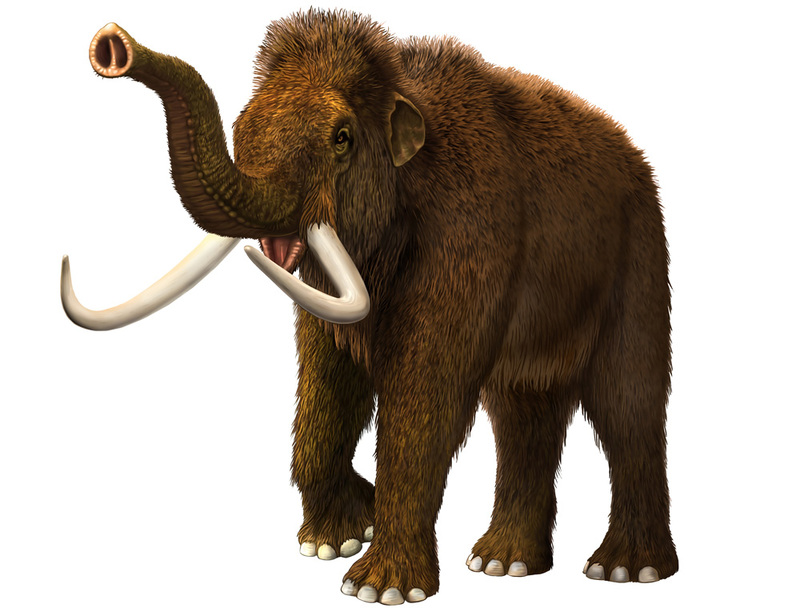 The name mammoth derives from 'mammut' meaning 'earth mole'. This originated from the belief that mammoths lived underground as so many were found half buried or in caves like Kents Cavern. In fact, they were either prey or died of starvation in bogs or frozen wastelands like Siberia. The Siberian mammoths were completely preserved from Ice Age times in the frozen Siberian ground. In Kents Cavern, teeth, legs and ivory were uncovered from sediments, in an area known as the Wolf's Den. It's believed that hyenas were responsible for taking mammoths as their prey and dragging them back into the cave. 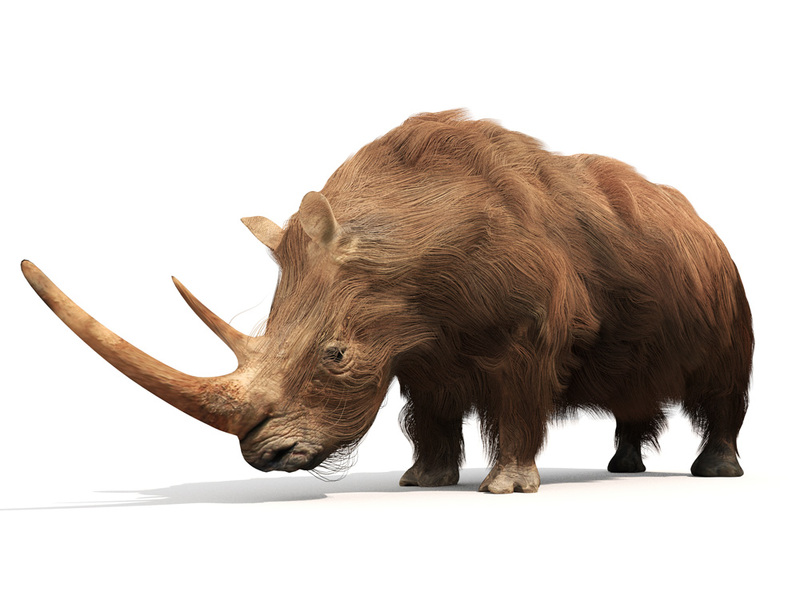 Fun fact: Woolly rhino's had two horns the larger one growing up to 1 metre long. Woolly rhino remains were also found in Kents Cavern, particularly their molar teeth. The woolly rhinos are one of the least heard of Ice Age mega-fauna, often overshadowed by woolly mammoths. Woolly rhinos had two horns which they would have used to defend themselves and were of a thick and stocky build. Fun fact: Hyenas are one of the most important animals to live in Kents Cavern. Many of the bones discovered in the cave show hyena scratch and chew marks…. The hyenas of the last cold stage such as those from Kents Cavern were markedly larger than those living in Africa today. However, they were otherwise very similar. As well as their bones and teeth, fossilised hyena droppings known as coprolites were also found in Kents Cavern. Analysis of coprolites have given evidence to plants which grew outside the cave at the time. Hyenas, not only scavenged but hunted in packs of up to 30, outside the cave at night, especially when the other animals were vulnerable. Their diet consisted of; deer, horse, bison, baby mammoth and woolly rhinoceros. Fun fact: Some researchers believe that horses were the favoured prey of hungry Neanderthals. Lots of smashed up and whole horse teeth have been found in Kents Cavern. 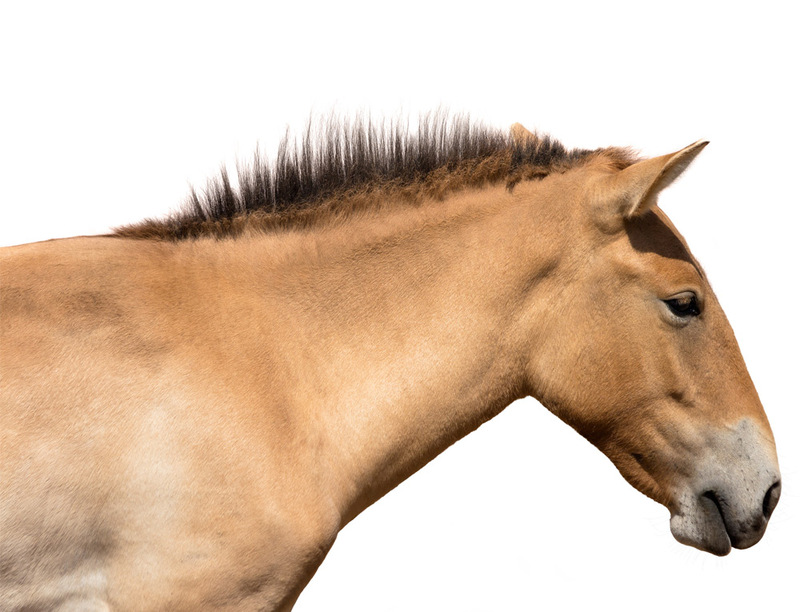 Believed to be easier prey, horses often fell victim to both Ice Age predators and humans. Horse fat may have also been used as a form of candle wax, melted on mans fire and then poured into a scallop shell, filled with moss and then lit. Shell fires were an important tool used by Prehistoric man as a secondary form of defense, their main fire would have remained constantly lit. Today, in Germany wild prehistoric horses can be found. Incredibly they are the only ones in the world and they live at the Palaon Research Experience Centre, a site where the oldest hunting spears were found!.